That’s the way to sell someone on something new. 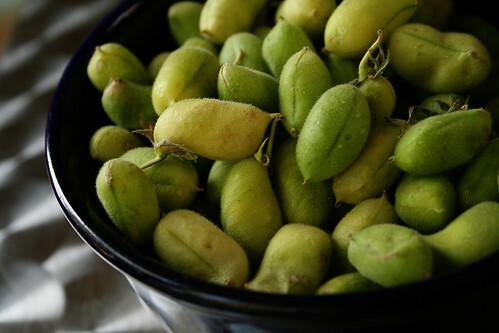 Not that fresh garbanzos – the lovely alter ego of the more familiar dried or canned chickpeas – need much selling. They’re delicious right out of the pod, and I hear they’re tasty just about anywhere you might use peas, edamame, or fava beans. I wouldn’t know because we opted for lightly steaming them, then pan-roasting them just a bit, and then devouring them. But we’ll be getting more. Look for fresh beans at well-stocked produce markets, the farmer's market, or Mexican grocery stores. Heat a skillet over medium-high heat. Add beans, then a few tablespoons of water. Cover and steam for a few minutes. When the water is nearly gone, remove the cover and roast on the stove-top, stirring occasionally, for 2-3 minutes. Put pods in a bowl, sprinkle liberally with salt, and slurp them right out of the pods. 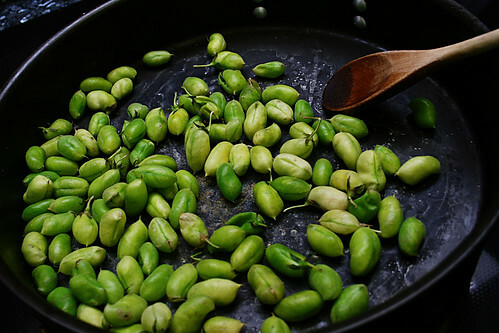 Variation: If you prefer them more on the roasted side, omit the water and use olive oil. Cover and cook, shaking pan occasionally, for about 5 minutes. No way!!! 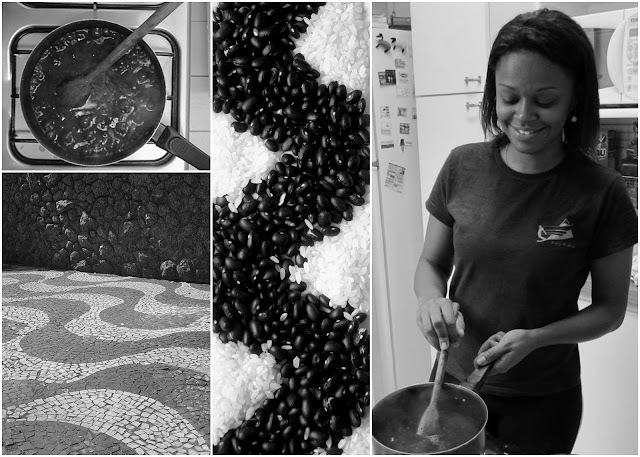 Beautiful photos, but I need MORE, esp of what the bean looks like inside the pod. No photos of the inside, alas -- we ate them too quickly! I'll just have to get more... They look a bit like great big peas. Love fresh garbanzos. You can shell the beans, then toss them in the food processor with a little olive oil, salt, pepper, cumin, cilantro, lime juice, and just a bit of sugar. Then fold in some chopped red onion and tomato and you have the best dip of all time. Mmm, that dip sounds fantastic! I've added it to my must-do list.